I created this giveaway as a scavenger hunt to encourage people to visit the wrap-ups. There are entries for commenting on wrap-up posts and then there are additional entries for visiting specific posts and answering a question about them. 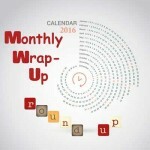 Check out the July wrap-up posts in the linky below. These are the posts that can be used for the giveaway (Random.org chose ten of them to for the scavenger hunt portion of the giveaway). 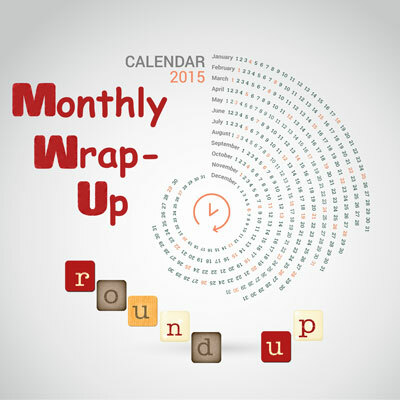 Didn’t have a chance to link up your July wrap-up post? That’s okay – you can still link up until the giveaway is over! My giveaway/trade list has gotten longer lately with the inclusion of some of the BEA books I’ve read, so I thought I’d offer books off that list! But I don’t want to leave my INT readers out, so if you’re an international reader and you win the giveaway, you can choose a book from TBD (up to a $17 value). Great idea to create a scavenger hunt! Thanks for the giveaway – and especially for giving us an international option. I hope that the scavenger hunt encourages everyone to really check out the wrap-ups! I’m glad to include everyone – I’d hate to leave my international readers out! Oh this is a fun idea! Glad you like it!! I have a lot of fun with this! Thank you for adding me to the giveaway this time! You totally rock!